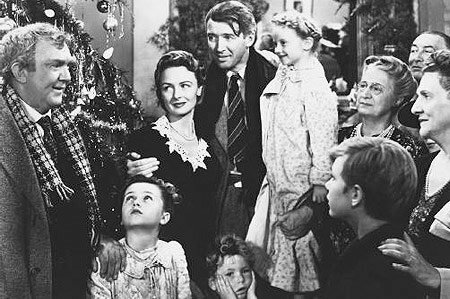 The clearest explanation I’ve found comes from a scene in one of my favorite films, “It’s a Wonderful Life.” If you know the film, you’ll recognize it immediately. If we didn’t bail out Wall Street then in effect we’d be foreclosing on them. If banks don’t lend each other money then they can’t lend businesses or people money. If your local retailer can’t borrow the money it needs to buy what it sells, then it may close, or scale back it’s business and reduce it’s workforce. People who aren’t working buy fewer things. That shrinks the need of the retailer to have as much stock on hand or as many stores in operation. That means more folks are out of work and you get a snowball effect that leads to recession. Is this bill the best we could have done? Probably not. Is it better than the first bill, yes. And this isn’t something we could take our time with. Does the bail out fix everything? No. This could happen again. The Potter’s of the financial world are real. There will always be people willing to take risks to make money. That’s why following up the bail out with regulation is a good next step.